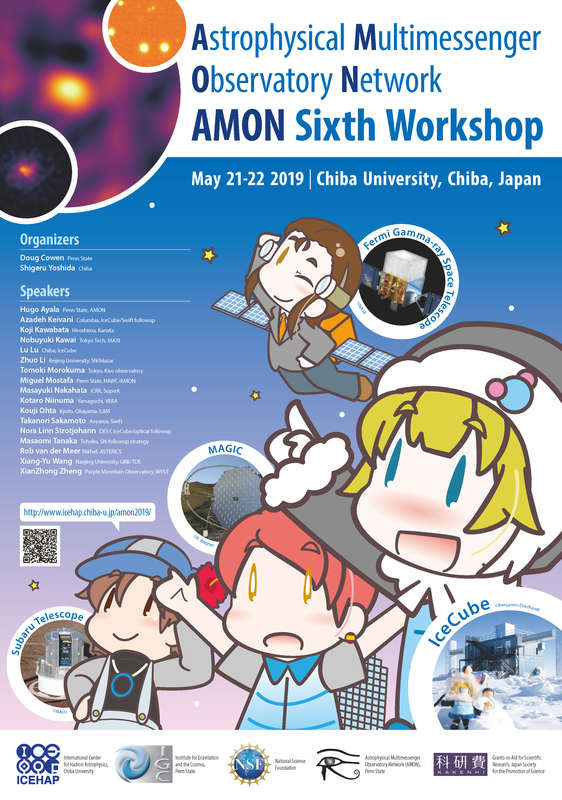 The sixth Astrophysical Multimessenger Observatory Network (AMON) Workshop will be held in Chiba, Japan, on Tuesday and Wednesday, May 21st and 22nd, 2019. This workshop is being held to explore the future potential of multi-messenger observations by the collection of sub-threshold events, which cannot be recognized as intriguing signals by observations in individual experiments (such as neutrino, gamma-ray, gravitation wave, etc. ), as well as investigating unknown celestial phenomena by comparing mutual time and space correlation. We also would like to exchange ideas and informations between various observatories including ones conducting non-electromagnetic sky monitor such as neutrino telescopes. This coming workshop will be the first one held in Asia/Pacific and will focus on disseminating the significance of alerts from IceCube, SuperK, and various space telescopes to each astronomical observatory in the Asia-Pacific region. It will encourage observatories of visible light, infra-red, radio wave and so on to conduct follow-up observations and pursue science across community barriers. 1) Construction of a network of Multimessenger follow-up observatories by receiving alerts from non-electromagnetic observatories, brought by mutual understanding and cooperation among observers, and analysis of integrated data. 2) Understanding of theoretical backgrounds for implications of the Multimessenger observations. 3) Generating interest from astronomers in the Asia-Pacific region. Register here for the sixth AMON workshop. There is no registration fee to attend the workshop. All participants must register before May 7th, 2019. The workshop will be held in ICEHAP office on 6th floor of the Engineering Research Building 1 in Chiba University, 1-33 Yayoi-cho, Inage-ku, Chiba-shi, Chiba. The nearest station to the campus is JR Nishi Chiba Station. The workshop program will be posted here. Click below to see a map[PDF] for good places to eat near the university. 3 Chiba University Food Courts (Cafeteria) are also available.